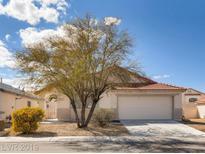 Below you can view all the homes for sale in the Santa Rosa subdivision located in North Las Vegas Nevada. Listings in Santa Rosa are updated daily from data we receive from the Las Vegas multiple listing service. To learn more about any of these homes or to receive custom notifications when a new property is listed for sale in Santa Rosa, give us a call at 702-323-5963. The garage has a separate A/C unit as well, great for a gym or man-cave. A true must-see property MLS#2082850. Purplebricks Inc.
Freshly Painted, Vaulted Ceilings, Island Kitchen Open to Great Room, Master Separate from Secondary Rooms, Laundry Room with Washer & Dryer Included, Newer Water Heater...Priced to Sell! ! 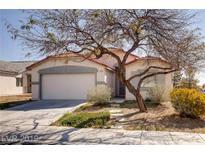 MLS#2081214. Realty ONE Group, Inc.
Don't Miss Out on this One. Move in Today! MLS#2078429. United Realty Group. All this AND RV Parking too! A RARE FIND BELOW $300,000! MLS#2068512. Resolution Realty.